S0674. MSTISLAV ROSTROPOVICH, w.Erich Leinsdorf Cond. 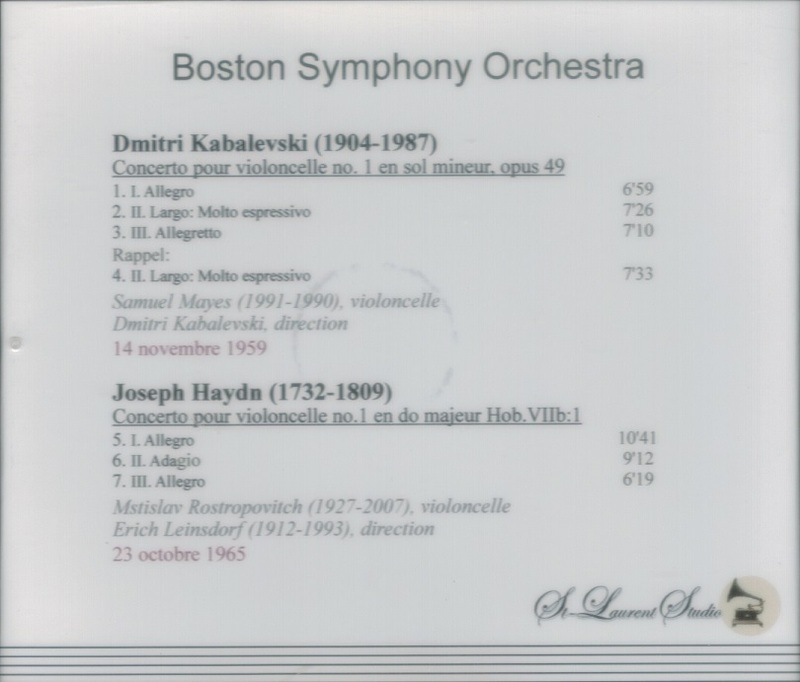 Boston Symphony Orchestra: Cello Concerto in C (Haydn), Live Performance, 22 Oct., 1965; SAMUEL MAYES, w.Dmitri Kabalevsky Cond. 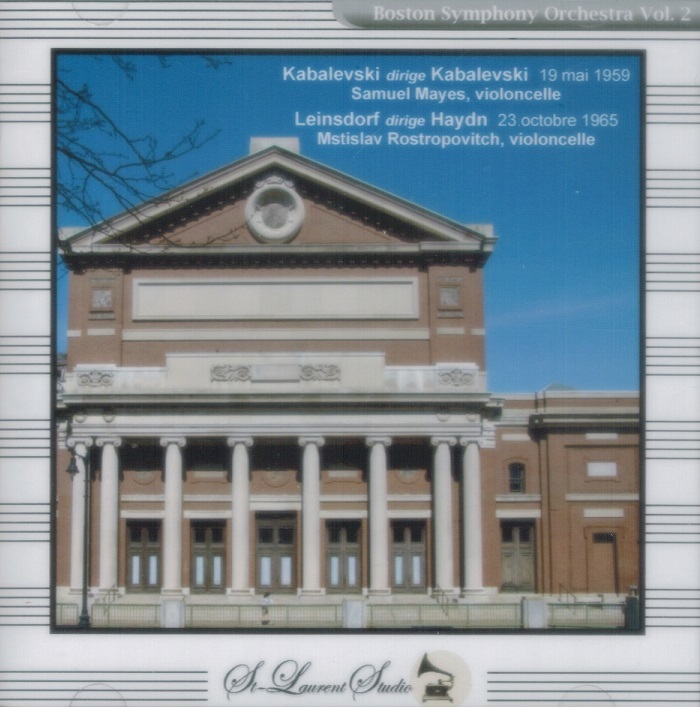 Boston Symphony Orch. : Cello Concerto #1 in g, Op.49 (Cond. by the Composer), Live Performance, 14 Nov., 1959, Symphony Hall, Boston. (Canada) St Laurent Studio YSL T-304. [Never previously issued.] Transfers by Yves St Laurent. “While still in his teen years Felix Salmond Mayes began playing as a section cellist in the Philadelphia Orchestra. He graduated from the Curtis Institute in 1937, and in 1938 was asked to become principal cellist of the PSO, under the baton of Leopold Stowkowski, where he stayed for ten years. 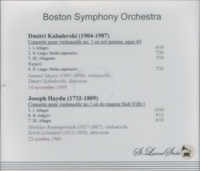 In 1948 Koussevitsky called Mayes to be the principal cellist of the Boston Symphony Orchestra. While in Boston he taught cello at Boston University, and played chamber music with Joseph Silverstein, Joseph de Pasquale, the Boston Chamber Players and the Zimbler Sinfonietta. It was also in Boston that he married Winifred Schaefer, who had been the first woman to ever play in a BSO string section.